How long have you owned your precious sofa, chair or love seat ? Already hating the sight of those dreadful sagging cushions ! Your first intention maybe to toss out that perfect lovely piece you have learned to cherish over the years. The comfort you found in its early years is no longer and you are opting for the next best thing. Will you believe if we said there is a more affordable and suitable option. Considering you are finding it difficult to part ways with that beloved seating furniture of yours of course. Below we will share some steps that could help bring your cushions back to life. 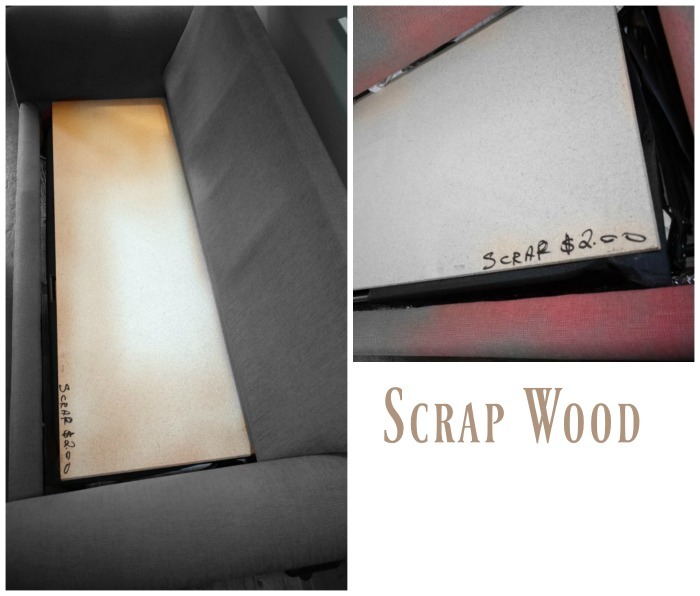 Upholstering your furniture cushions and purchasing new foam inserts is also a viable option. Nevertheless, if the fabric is still in great shape you may be spending money unnecessarily considering the problem will wiggle its ugly head once again if not addressed correctly. Purchasing new High Density Foam considering the often high cost these days, it seem to be an expensive option for the budget conscious Do It Yourself enthusiast. Some arts and craft stores are also now offering discount prices and the use of coupons for such items. If this is the case, then we suggest purchasing the foam while also implementing the method mentioned in the latter part of this post. There are many other products such as Memory foam and poly foam fillings that would not necessarily accomplish the longevity that we are hopping for. Memory foam is quite durable but as with many products on the market, how it will be used as well as its manufacturing quality is the ultimate deciding factor on its lifespan. Unzipping Your Cushions from the Upholstery and placing them in the outdoors for a few hours can work wonders. The crisp air and some sunlight will actually help expand the foam particles once again giving it that fluff feel and look it once boasted. Bare in mind that the quality of the foam your manufacturer uses in building the furniture plays an important role when attempting this easy fix. Materials of lesser quality may indeed require the need of purchasing new high density foam replacements. Platform Support System can be used to create a firm foundation for the cushions to lay flat on and minimize the sinking effect of the foam. As seen below, this will be the option that we will be focusing on mainly in this post. This Queen Sleeper Sofa is well built and has been part of the family for about 10 years. The frame of this piece is sturdy and solid, weighing somewhere in the neighborhood of 185 lbs. A sagging cushion is one of the main issues associated with any sofa,chair or love-seat no matter the quality, especially if one has owned it for a vast amount of years. A simple solution that will resolve this issue, is using a solid piece of wood laid across the box spring and or sleeper frame. We have found that many local home improvement stores will have scrap wood for sale at a fraction of the cost. Take for example this two dollar scrap we found. Many stores will even cut the wood to size at no charge. Nevertheless,bare in mind there are limits on the amount of cuts they'll do for free. As seen above, this queen 3 cushion sleeper sofa was wrapped in one of our favorite sofa two piece cover from Sure Fit. The cover will completely conceal the support scrap board used while the second piece of the cover is separately used for the 3 cushions. Note: We will cover more material on sofa covers on a future post. Please share your thoughts and Ideas with us We'll Love to heir about Your Space Made Perfect. Please feel free to leave us a constructive comment about your thoughts. If you also try these ideas Please share.